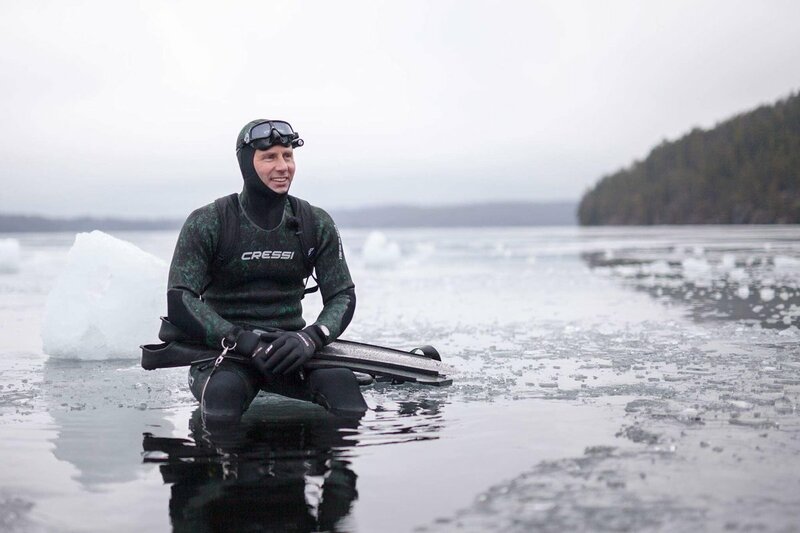 Reports are coming in that freediver, Ant Williams, has broken the 65mt / 213ft world record for the deepest ever freedive under ice. The previous holder was Russian ice diving champion Konstantin Novikov, who claimed this record in 2015. Williams was interviewed by 'Stuff' earlier this year whilst he was preparing for this record attempt. He stated "in normal conditions, when you're diving that deep, it's isolating, intense and uncomfortable. Physically and mentally, it forces conditions on you. You get narcosis earlier in your dive, where you get worried about things going wrong." Williams spoke about the water colour - it is "insanely dark it is down there. The moment you put your head in the water to look down, it's instantly pitch black." Williams also spoke about the cold. The air temperature in Norway is approximately -20°C / -4°F, whilst the water temperature is positively balmy by comparison at 0.2°C / 32°F. "Obviously the cold impacts you. If you were shivering or if you're inhaling this icy, cold air it's really hard to stay relaxed."